FFPA managed to make it out to Central PA for a bit of fishing over the weekend, and the fish cooperated. We can only hope that the action we had is an indicator of what might be in store for the rest of the year. All the fish we got into were fat and healthy - - lets just say they did not miss a meal this winter. The only thing missing in a few of the fish was a bit of fight, but that is due to the mid-40F water temps. They made up for that with their shear weight, and thickness! March is slowly becoming a favorite time of year to fish Central PA mainly due to the lack of crowds and the willingness of the fish to eat! Eat our nymphs that is. This time the variegated stone (BIG, size 2 6xl!) 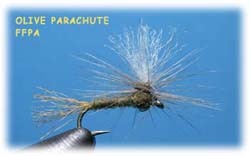 once again took many fish, but a close second fish-catcher was a basic olive nymph (size 16). The other pattern that took fish was our wired stone. The latter two flies, we fished as a dropper. Flows were perfect and the color even better over the weekend (pretty much the exact opposite of last year), though that quickly came to an end with the dumper the Central part of the state received Sunday night. Man, it really does not get any better than the fishing we had. Great action lately on the limestoners with all this warm weather. The fish have definitely moved out of their winter lies are in the skinny/faster water looking for their next meal. The fish photoed to the right wanted nothing to do with a dry, even though other fish in the area were looking up. So the quick fix was to hang a short length of mono off the dry and tie on a small beadhead. First cast, bamn! Size 20 zebra midges and size 20 shop vacs really did a number of the subsurface feeders. I think it is safe to say that all our local waters with wild trout populations are absolutely loaded with trout right now. 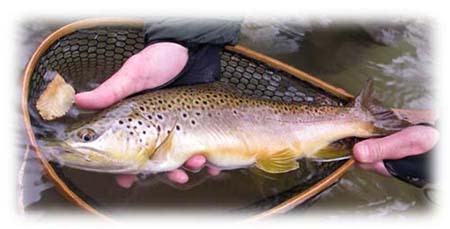 2009, the 'year without a summer' as it's being coined by some really boosted the numbers of fish. Finally some warmth on your back sort of weather. And with the warmth along came some hatching bugs. During the heat of the day over the weekend, the olives buzzed about pretty good. This also got the fish looking up. 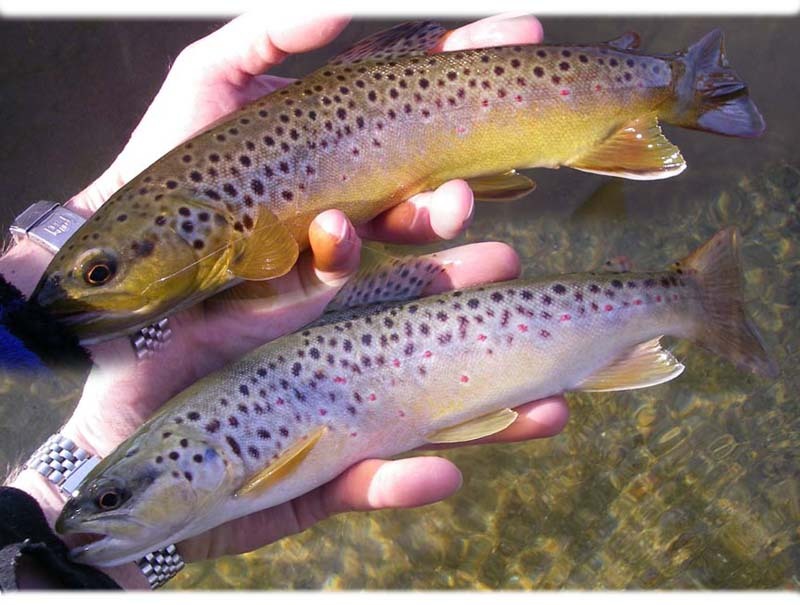 Unlike previous winter outings this year, the fish were not just confined to the flattest pieces of water. This hatch brought the fish up in some broken water as well. This must mean they are moving out of their sluggish mode they've been in, and are following the bugs. The season has begun! This time the best hatch matching pattern was the go-to parachute. You just can't beat this pattern for its fish catching capabilities. Not to mention its visibility. The glare was pretty bad, but the white poly parachute post really aided the fly in sticking out. Simple, but effective. Underneath the bead-head flash-back pheasant tail - size 16 - also produced fish. The 2010 Recreation Release Plan is not all that different than last years Plan, except for a "clumping" of releases in July/August, which means releases every weekend during parts of those months. There will be no whitewater releases after September 5, with the exception of a potential BIG DUMP on September 17. That is if the Corps has the stored water. Frankly, this Release Plan has the potential to release super-heated water when the river is most vulnerable. Over the last few years we've been trending away from dumping 72F water during the late-summer (August) time-frame, but it looks like the wishes of the rafting companies trump the concerns on potential effects on the trout. Also, when the organization that is tasked to look over our aquatic resources (PFBC) signs off on a Plan that we feel puts our coldwater species in potential harm, it is hard to argue with them too much. Obviously the PFBC feels the effects of these "clumped" releases won't impact their effect to effectively stock the Lehigh with fingerlings, which they plan on doing again this year. We shall see how this plays out this year. 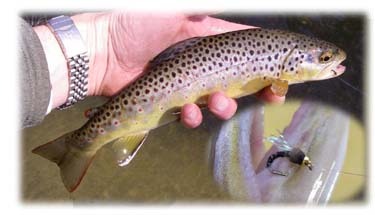 We should also note that is you are an angler who likes to fish the Lehigh during the evening up near the dam in the August time frame on weekends, then your fishing will very well be impacted. If we have a wet/cool year like last year, when the fishing was good all summer long....welp, you will take a hit! We ask that you voice your concern with the PFBC and the Corps regarding their every-single-weekend Release Plan for 2010. Tell them that it will impact your weekend angling, and that you will have limited angling opportunities.